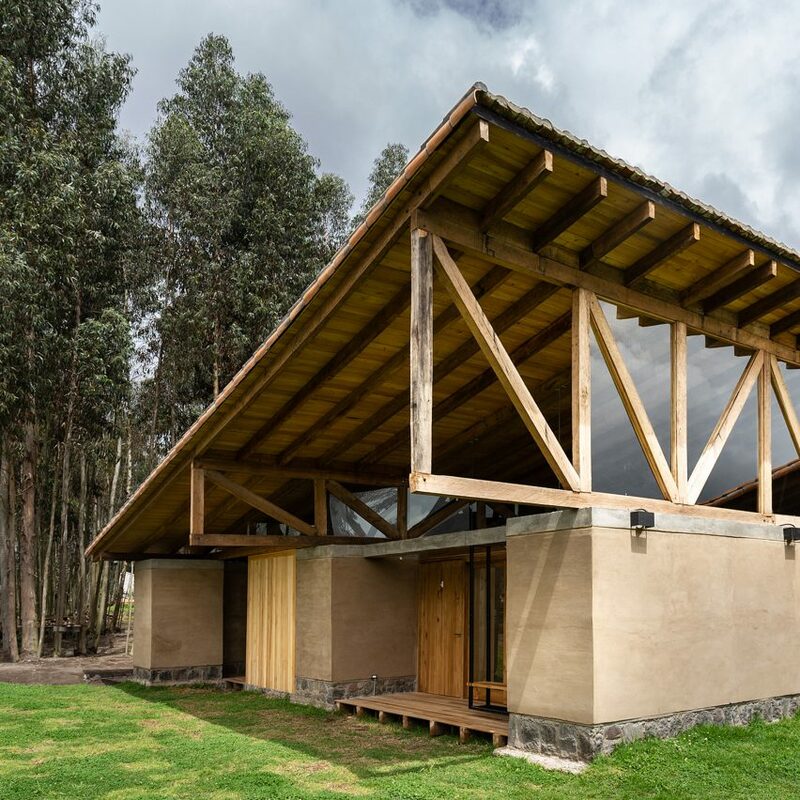 Quito’s Rama Estudio has used thick rammed-earth walls and large windows to prop up the slanted roof that covers this residence, built among a eucalyptus plantation in Ecuador. 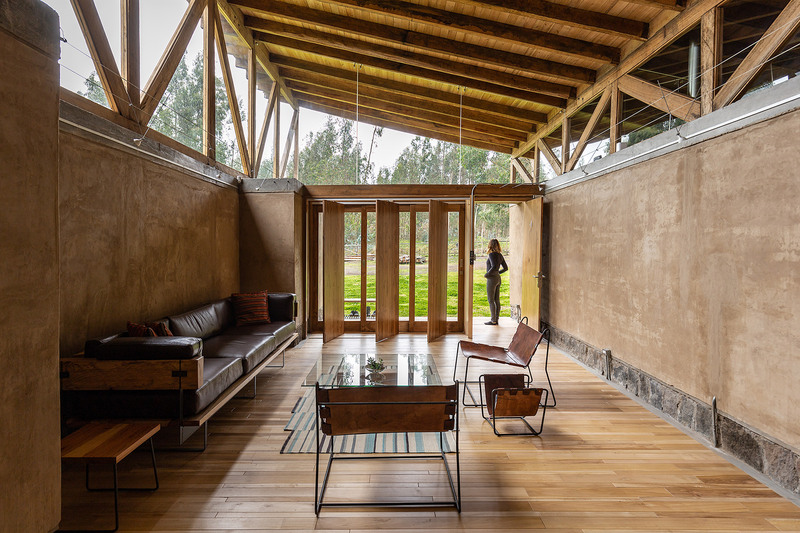 Casa Lasso is a 350-square-metre house located in Lasso – an area in the South American country’s Cotopaxi province, which is home to an active stratovolcano of the same room. 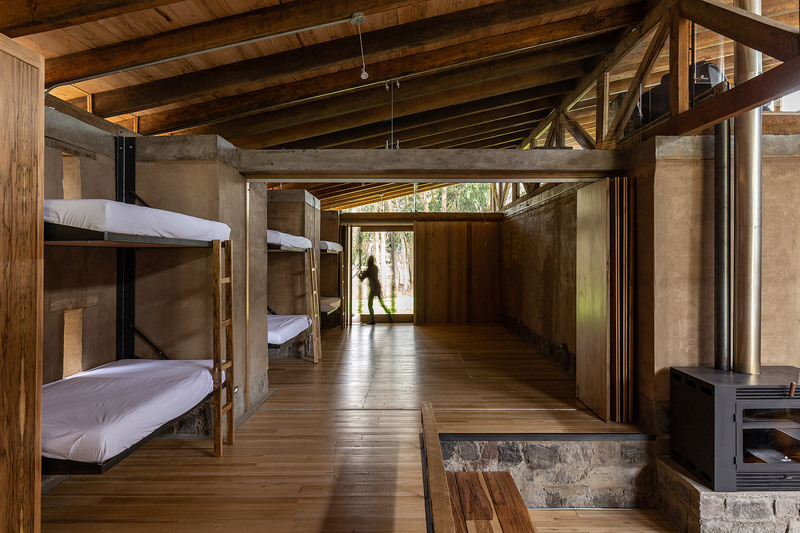 “The land is arid due to the presence of eucalyptus plantations, this has eroded the soil to the point of not having any other plant species in the place,” said Rama Estudio in a project description. 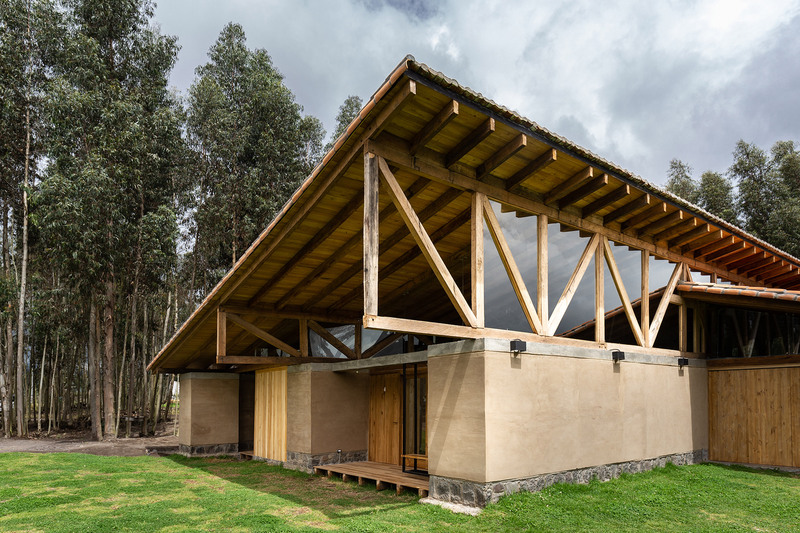 “We think of local materials or of nearby areas, in a zonal workforce that allows us to promote the learning and practice of constructive vernacular systems of Cotopaxi,” said Rama Estudio. 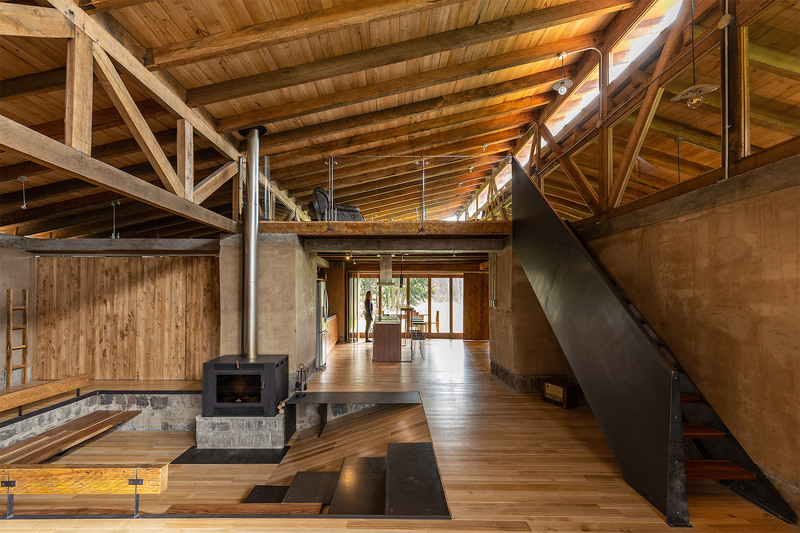 Rama Estudio included the thick barriers to close the house off from strong winds, with their large mass helps regulate thermal comfort. 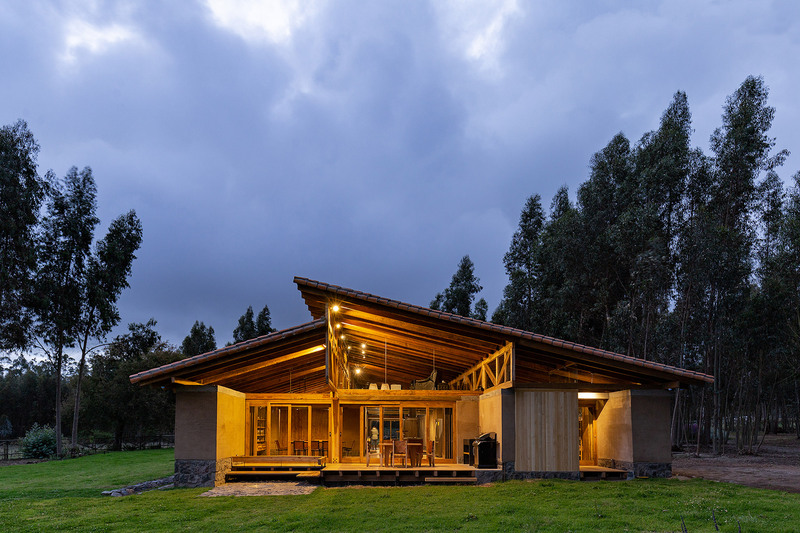 This preference for passive architecture relates to traditional building techniques, as well as the site’s natural beauty. Other features include a solid and liquid waste separation systems integrated into its design, as well as an internal irrigation and a fertiliser network, which isn’t connected to a greater sewage system. 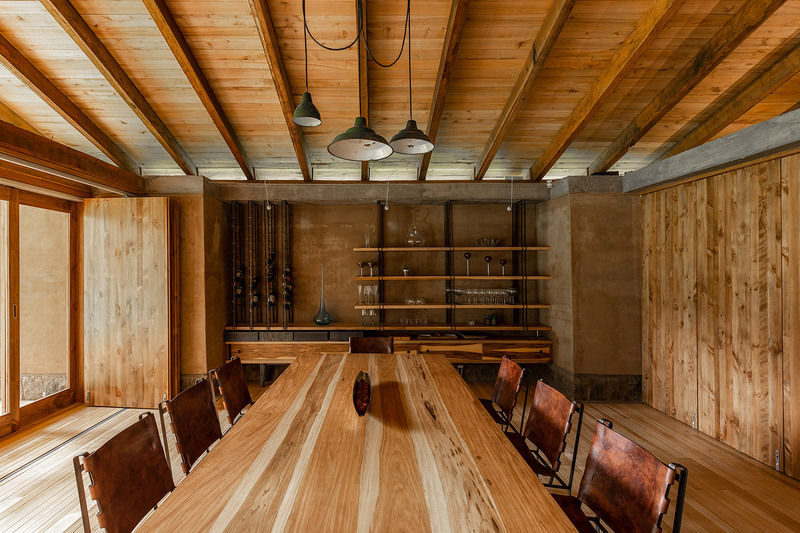 “They [the pivoting panels] allow to open the house 100 per cent towards the land, and close in a hermetic way if required,” the studio continued. 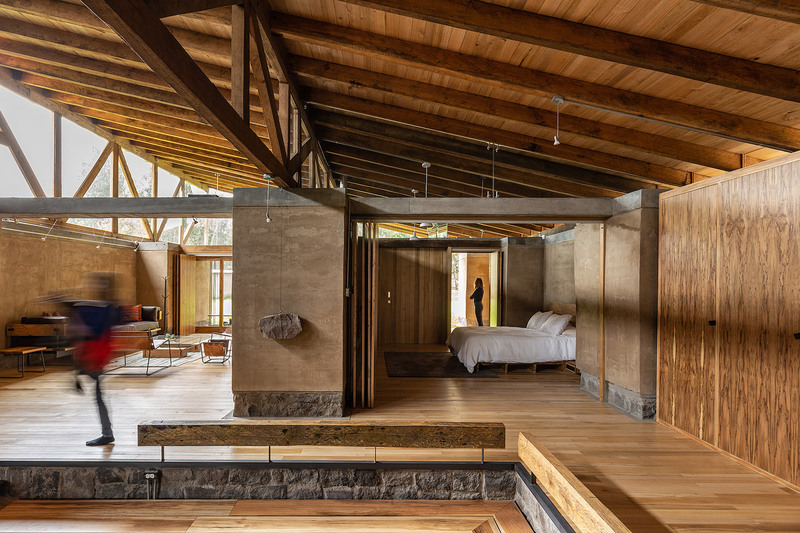 “The furniture is coupled taking advantage of the spaces between buttresses, thus embedding utilitarian pieces such as kitchen, beds, shelves, cabinets,” the studio said. 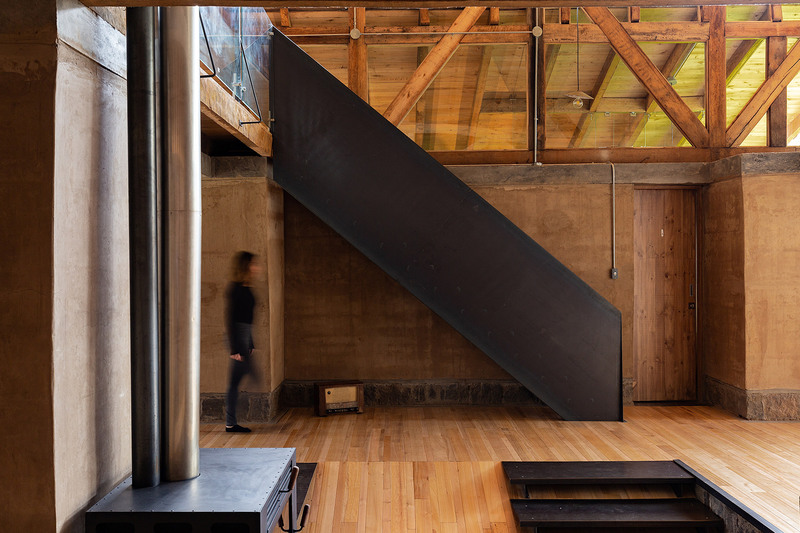 At the centre of the house is a hearth, accessed by shallow steps. “It is depressed with the intention of emphasising the idea of acoger (welcoming the family),” the studio said. 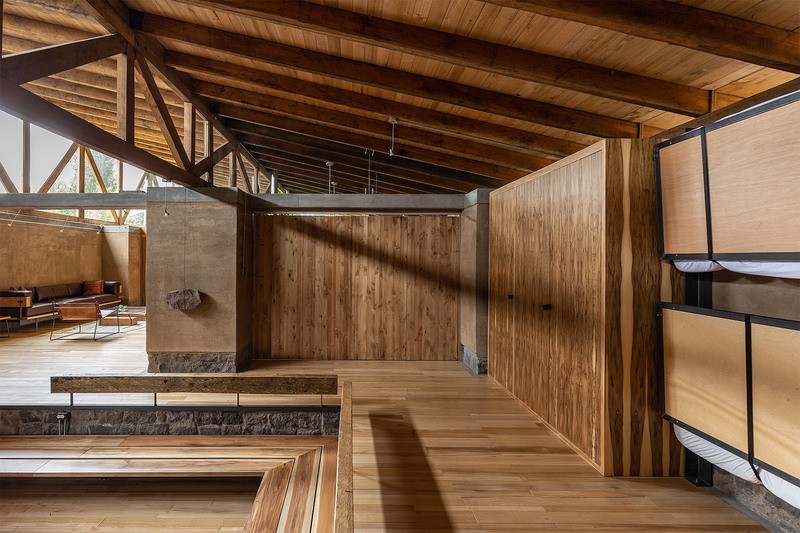 Other features include a series of built-in benches that surrounded a fireplace to provide a space for “warmth and family reunion”, according to the studio. 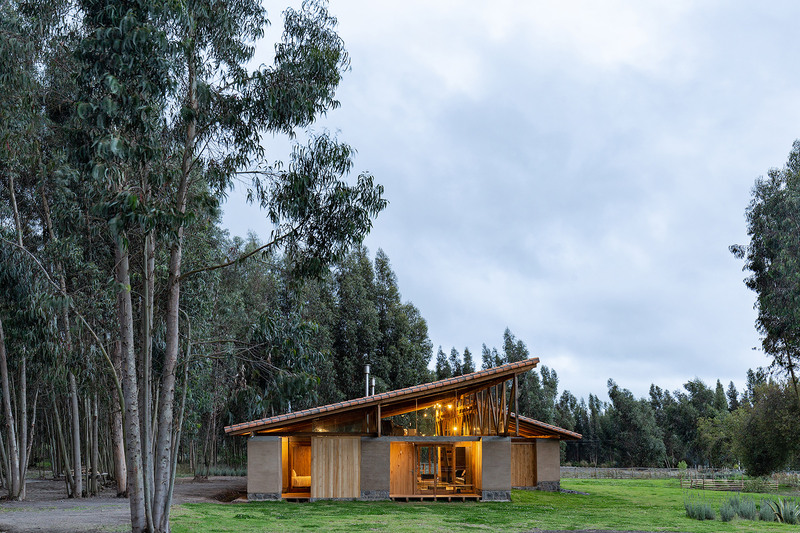 The post Angled roof tops rammed-earth walls of Rama Estudio’s Casa Lasso in rural Ecuador appeared first on Dezeen.